WELCOME to the sixth installment of our Guest Teaching Series. One week at a time, one teacher at a time, we’re building what is effectively becoming an open resource of current teachers and teachings covering the range of Nonduality. BOB AND I SHARE a common background: we were both drunks. And that's how both of us found our way here. It's also from that background that the "Sailor" tag came to be installed. In Twelve Step groups, everyone goes by their first name. In the area where Bob got sober there were a lot of Bobs, and since Bob was a tattooed ex-sailor, he became known as "Sailor” Bob. He also became known as “the guy who talks that Nonduality stuff”. Recovery almost always leads to a deeper spiritual life, and one thing led to another until Bob traveled to in India in the mid-1970s. He’d initially gone to see Swami Muktananda, but life in the ashram seemed to be focused on energy and state management. Bob wanted more. Finally a book clerk pressed a copy of “I Am That” into his hand. Soon enough Bob found himself sitting in an upper story room with one of the Twentieth Century’s most masterful conveyors of Advaita, Sri Nisargadatta Maharaj. NISARGADATTA AND BOB immediately took to each other. They argued loudly and debated sharply and came to love each other as the Self-reflections they were. Nisargadatta helped Bob see truth on his first visit, but as with most of us, it still took a while for that seeing to become being. The two men became close, and when Bob left India, he and Nisargadatta hugged and cried. The rest is modern spiritual history. SAILOR BOB RETURNED to Australia where he became a night watchman on the dangerous Melbourne docks. He married his life love, Barbara, somewhere along in there, and they left the city to live the counter-culture dream of being farmers, "and living off the fat of the land" as Bob puts it. After a few years of that, following a painful, restrictive, and theoretically incurable illness--that Bob cured with herbs and vitamins--Bob and Barb became the highly motivated proprietors of first one health food shop, and then another. Eventually they each retired from that pursuit, with Barb taking up a Bowen therapy practice, and Bob becoming more and more of a full-time teacher of Nonduality. Barb died this past December after a lifetime of loving service. Bob, now in his 80s, is still teaching, still helping to wake us up, still bringing us into conscious awareness of the One Without a Second. Thank you, Bob. ONE TEACHER, who has been around a long time and who knows just about everybody who is anybody, confided something to me upon hearing that I was doing this post. "Sailor Bob," he told me, "is the only satsang teacher I have ever met who needed nothing from anybody. Not money or love, not approval, nothing." AS YOU ALL KNOW, we talk about non-duality here. The only reality you are absolutely certain of is the fact of your own being. First off, we would suggest that you just relax. Don’t try and grasp what is being said necessarily with the mind. Because, as you see—or as you will see—the mind is the problem. Just relax and be receptive, because the words that are coming out here presently are coming from that intelligence-energy. IF THE MIND IS NOT ACTING as the cloud (as an obstruction), what will be receiving these words is that same intelligence-energy. Then what is apperceived or grasped or understood will come up through the mind at the appropriate time, which will be presently, at the appropriate time, which will be presently, at the appropriate place, which will be here and now. Then the appropriate activity will take place from that. So, that is what we suggest happens here. NO ONE—RIGHT HERE, RIGHT NOW—can negate their own being-ness. Each one of us knows that ‘I am’. That ‘I am’ is not much to grasp on to, if it is just purely and simply ‘I am’. So it adds to itself all the events, experiences and conditioning and forms an image, an idea. This idea or image is believed to be what I really am. All our problems arise from that. THAT IS SO because the very idea of ‘me’ separates ‘me’ from ‘other than me’ or ‘non-me’. Separation is isolation; it is loneliness; it is fear; it is insecurity; it is vulnerability. This is what we continually do. We separate, and we continually search for wholeness or security or happiness. It is not our fault, it is not our parents’ fault. It is the way we have been conditioned, the way they were conditioned. IF I BELIEVE THAT I AM SEPARATE, an individual, a separate entity and person, then I am insecure. So at the first level, the family level, I try and have a warm and loving family around me to make me feel secure. Then, there is the tribal level. And if I can be “in with the tribe”, then I will be more secure. Then, there is the nation. And nations go to war with nations over that same self-centeredness or insecurity—divisions and separations. AND YET ALL THE GREAT SCRIPTURE, all the great religions, all the great traditions will tell you that God (if you like to use that term) is one-without-a-second. It is non-dual. It is just this present awareness, just this and nothing else. Some of the Christian scriptures will tell you ‘I am the Lord thy God; there is none other’. Another term they use is that God is omnipresence, omniscience and omnipotence. It is all-presence and all-knowing and all-power. And they mean exactly that: non-dual, one-without-a-second, presence-awareness. NOW WHERE DOES THAT LEAVE ROOM for a ‘you’ or a ‘me’ or anything else? If there is a ‘you’ and a ‘me’ in this all-power, all-presence and all-knowing, that means that it is not all-knowing, it is not all-presence, and it is not all-power. So, from that point of view, all of this manifestation can be nothing other than That. And that is one of the great sayings from the Hindu tradition: “Thou Art That”. Because there is nothing other than That. “I am That” is another great saying. IS THERE ANYONE HERE RIGHT NOW that is not that presence? You are present, right here and right now. Is it your presence? Is it my presence? Is it each one of us as individual presence? 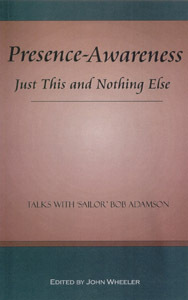 Or is it all-presence? Is there anyone here that is not knowing that right now? Is it your knowing? Is it my knowing? Or is it somebody else’s knowing? Or is it omniscience, all-knowing? Knowing implies an activity, and all activity is energy. You hear the cars going by; you hear the other sounds in the room; you can see the movement in the room. All sound, all movement, is it yours? Is it mine? Or is it somebody else’s activity or energy or power? Or is it omnipotence, all-power? JUST HAVE A LOOK AT THIS and see it clearly. 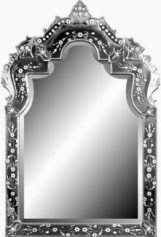 Then ask yourself ‘Who am I?’ What is ‘I’ or ‘me’ that thinks itself to be separate? Where does it start? Where does it finish? What is it? You see the search as I said previously, is always going on ‘out there’. ‘Out there’ is where we have been conditioned to look, gathering something that will make me secure, that will make me whole, that will make me happy. IF IT IS NOT IN THE FAMILY, the tribe or the nation, then it is in a better job, more money, better relationships, a good house, all sort of things out there. The belief is that the more I accumulate, the more secure I will will be. Or, if I go on some spiritual search, I will become realized or enlightened or whole and complete—all anticipated to happen in some future time. I CAN GO THROUGH ALL MY LIFE doing that. If it doesn’t look like it is happening in this lifetime, then what do I do? If I am a Christian, I conceptualise a God somewhere who has a heaven somewhere in my future. If I am not doing too well ‘here’ and I say my prayers and do a few good deeds, I will finish up ‘there’ at some future time. All this is conceptualisation! An idea of some future time, of some future place and some future deity or being that will make it right for me. Or if I belong to an Eastern religion, I will reincarnate—at some future time! I will have another life! Never realising that there is only now! Never looking to see what it is that is going to have this other life, to see what it is that has got ‘this life’ or seemingly thinks it has got this life. IT IS QUITE SIMPLE. If you look, you will see it quite clearly and easily. What does this body consist of? The essence of food. Where does the food come from? It comes from the earth, and the earth from the fire. Fire, water, air and space—it is nothing but the elements. Where do the elements come from? Well, in that vibration, that movement, these things appear. And so they are nothing but thought! Thought is subtle sound. Word is sound. What is sound? Vibration. What is vibration? Energy! Omnipotence again, appearing as different. SO, I HAVE NEVER EVER MOVED away from it. I have never ever separated from it. So it is foolish for me to try and seek wholeness, completeness or whatever at some future time. If I look at the mind again and ask myself ‘What past is there, unless I think about it? What future is there, unless I think about it?’—in looking at that, I can see clearly that there is no past and there is no future unless it is thought. I CAN BRING YESTERDAY'S EVENTS—from my memory—into my mind right now. But they are not the actual. For instance, I met ‘so and so’ yesterday, spoke to him and shook his hand, etc. Well is the same today? I may have forgotten some small details and added some that weren’t there. So, I have made up this present concept or idea of what went on. Or, I anticipate or imagine the future. I imagine something in the future, which I can get fearful about or ecstatic about. But look closely. When is all this taking place? Isn’t it taking place presently? Can there be any other time that it takes place in? You can say, ‘Oh yes! It took place yesterday.’ But when are you saying that? Isn’t it presently? Or you can say tomorrow is going to be a different day. When are you saying and thinking that? Isn’t it presently? Now it is all happening in that presence. 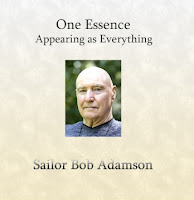 Is it any different from that presence, that omnipresence, all-presence? YOU CAN SAY ALL IS GOD. Wrong! God is all! All is only an illusion. All is not. ‘All is only a word. A word is not the real. It has never been the real. ‘Water, water, water’—you can’t drink the word ‘water’. These words—these words!—are nothing in the same way. But isn’t there omnipotence, that vibration, that movement of energy? Is it going on here? There? Or anywhere in particular? You can feel it. The hearing of the word—right now—is a vibration. That which is hearing it is vibrating and pulsating. There heart is beating, the lungs are expanding and contracting. Feel the energy moving around in that body. Is anyone not knowing that they are? The omnipotence is functioning. When is it all happening? Presently. And omnipresence is functioning. SEEING THIS, UNDERSTANDING THIS, I can see how I have been caught. I can see how I have put a seeming limitation upon myself. I put a cage that does not exist around myself. Have you seen a bird in a cage that has been there for many, many years? You can open the door of that cage and the bird is not going to fly out straight away. You can leave the door open for days but the bird will not take step to fly out of it. WE POINT OUT HERE and continually point out at the cage. But we say that even the cage is a phantom, it is a false idea. It does not exist. How many of us step into our freedom by hearing that? It can be done, right here, right now. The understanding is that you have never been bound, even though it may seem that you have been. WHAT IS THE LIMITATION that I place upon myself? First and foremost, it is this idea of being a separate entity, a ‘me’. How does that come about? Purely and simply, if I look at the mind and see how it functions, then I see that, being a movement of energy, it is only a vibration. Being a vibration, it can only function in the pairs of opposites. If it is not happy, it is sad, or pleasant/painful, loving/hating, good/bad, positive/negative and so on. It is still functioning in the pairs of opposites. And what is it using? Words! Purely and simply words. OFTEN TIMES, WHEN THINGS HAPPEN, we say ‘It doesn’t matter’. And when you mean it and it doesn’t matter, nothing comes of it. But if you take some thought or idea aboard and it does matter, that is exactly what it does. It matters and becomes concrete. We beat ourselves over the head with a word. We punish ourselves for the word. CALL SOMETHING ANXIETY. Show me some anxiety. Show me some fear. That word becomes very real when it is allowed to dance around and vibrate in the mind. What is it referred to? It is referred to a reference point, the ‘me’ which has felt this feeling before. And it has named it ‘fear’. And so, as soon as thought or whatever it is, is seen, immediately comes up the old response from the past, which it is referred to, the reference point or the centre. The centre does not like it. It doesn’t want to be here. It wants to escape. So, it immediately resists it and gets in conflict by trying to force it out, change it or do something with it. SO, THIS WORD HAS NO POWER of its own (because it has got no substance, it can’t stand by itself), has now caused the blood pressure to rise, the goose pimples to rise on the skin, the hair to stand on end or whatever. So, you see what ‘fear’ (or any other word) can do. But if I am not taking that word on board, if I am seeing it for what it is, have understood that the word can never be the real, it is just let go of! It appears presently. It is witnessed presently. The response is witnessed. Nothing further. Full stop! Nothing further happens with it. The response is not entered into. Not trying to change it, not resisting it, just seeing it for what it is: it is a word. So what happens? You see, that energy hasn’t taken off, it hasn’t started. ONCE THE ENERGY HAS STARTED and builds up, then what is it going to do? The action must follow. WHAT HAS DONE ALL THIS? Purely and simply, all it is, is a word. A simple vibration, a vibration that has become a cyclone, a tornado within us. It rips us apart. But when has it all happened? Has there ever been any other time or any other place than here, right now, presently. Has it ever moved away from that all-presence, that omni-presence? SO THE WORD—as I said before—or the body or the mind or any of this matter is nothing. Presence is that which appears as matter. I can’t move away from that presence. There is nobody to move away. Any movement, any vibration, anything that is happening, it is that omnipotence appearing as something other, appearing as the matter, the shape, the form or as the name we put on it. KNOWING THAT IS THE OMNISCIENCE. There is only this omniscience. What it appears as is nothing other than That appearing as different. RIGHT HERE, RIGHT NOW, nobody yet has negated their being-ness of that sense of presence. Is there anything wrong with that, unless you think about it? When I do think something about it, what is thinking? Can the thought think itself? Or does thinking appear on that presence, on that awareness? Is it anything other than presence, seemingly appearing as different? IS THERE ANY NEED FOR ANY CONFLICT? Is there any need for any dissipation of energy? When you look at the mind and see that the reference point doesn’t like this, or wants more of this or whatever, the ‘this I don’t like’ is just an idea or a bunch of words I have. And what it likes or doesn’t like is another set of words. It has a name for it. If it doesn’t like it, it is trying to escape from it. If it does like it, then it wants more of it. So there again there is a struggle to acquire more. That energy is seemingly fighting with itself, just through the wrong understanding. ALL YOU HAVE TO DO is look at nature again, and you will see the opposites at work in nature. They are there: day and night, tides coming in and tides going out, seasons coming and going. You will notice one thing in nature, and that is that the opposites are not in opposition to each other. The incoming tide is not fighting with the outgoing tide. Winter is not fighting with summer. Look at your own body. The incoming breath is not struggling with the outgoing breath. Your heart is not in conflict with the expansion. It doesn’t get halfway in expansion and suddenly say ‘I am going to contract’. It is only in the mind that this conflict goes on! The only reason that it goes on in the mind is the idea of a separate entity, the ‘me’. When that is seen—that there is no separate entity—then who is there to get in conflict with anything? Things will come, things will go. That awareness, the alertness, the appropriate activity, takes place spontaneously and intuitively. It is still going to happen in the pairs of opposites. It might not be good at this moment. It might be bad or something other. If the conflict is not there it will resolve itself quickly and effortlessly. It may not be the way that ‘me’ and memory wants it to be. But I only have to look over my life and see many things—most of them—were not the way that this ‘me’ of memory ever wanted them! Not the way that this ‘me’ thought they would work out or wanted them to work out. Most of my life it has been like that. Most of the struggle was because this ‘me’ wanted to change it. ALL OF THE CONFLICT WAS CAUSED BY 'ME', and looking back over my life now I see how through all the dramas and traumas how beautifully it all fitted in. I see how it has all fallen into place for this so-called entity at this particular spot in the particular time, without that so-called ‘chatter in the mind’ today. It doesn’t mean to say that the chatter doesn’t go on. But the chatter has no fire any more. There may be lots of silence here—and there was a time when I looked for silence and peace—but that was just another experience also. It does not matter. It is not allowed to ‘matter’. THIS IS SO because there is that understanding and knowing that that which all of this has appeared on—that omniscience that it is—has never been touched by any of that. Nothing has ever come near it. If we must put words to it, it is that still, silent, blessing being-ness, if you like to call it that. All words, which are not the real! BUT REMEMBER WHAT WE SAID AT THE START. Never mind the words. Just hear and feel the resonance in the word, the vibration, the energy. Is it any different from the hearing? Sense and be aware of the vibration where the hearing is taking place. That knowingness, that awareness of that, is still presently. Has it ever changed? 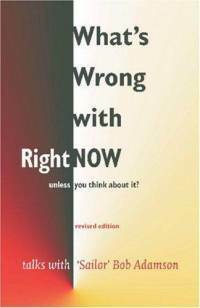 Excerpt from What's Wrong with Right Now? Let me welcome Bulgaria to the ever-expanding list of countries visiting Awakening Clarity. It has become the 67th country to visit us. Readers there join thousands of readers from around the world. Next week we'll hear from Advaita master Francis Lucille, who has given me the text from a pair of guided meditations. It should be a special treat for all of us. CLICK PHOTO TO VISIT NEW SITE! A Direct Pointing Session in a book! "WHILE READING THIS BOOK I had my first glimpse of "It"! I finally have experienced it for myself. That experience has given me a new level of peace and gratitude." "IF YOU ARE LOOKING FOR A CLEAR and concise book on radical nonduality, this is on "my" must-read list." "THIS BOOK UNDID ME! I don't expect the world will ever look quite the same again. Don't think about it...don't let yourself be distracted from this opportunity, just read this book now!" "SO MANY BOOKS leave the reader lost in the words, but this one actually takes you beyond the words and shows you how to "find it", what the experience of "it" is, and what happens to "it" when imagination starts to dance again. One cannot help but discover the real nature of what we are. These are the same goals of many similar books, but this one actually succeeds in taking the reader there." "FIRST OF ALL, WONDERFUL POINTING in The Book of Undoing!!! Love it; going through it again. Less is more and I feel you've hit the mark in this definitive book. Bravo!" "FOR THE EXHAUSTED spiritual seeker this book is dynamite. It literally blows your mind." "FINISHED BEYOND RECOVERY and immediately dove into this one. I can't say enough about the energy and vividness that Mr. Davis brings to Inquiry. I would read anything he wrote." "STEP BY STEP, Fred takes apart delusion, and confusion, leaving behind clear knowing. In this moment, anyway. No guarantees for tomorrow - present understanding is all that counts." "I DEVOURED THE BOOK OF UNDOING and it has provided an abiding dissolution of ego since I read it. Great work. Highly recommended. READ THIS BOOK." 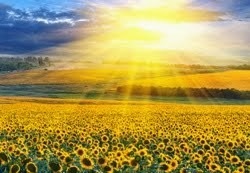 GUEST TEACHERS AND WRITERS LINKS CAN BE FOUND IN THE FOOTER OF AwakeningClarityNow.com! "THIS IS A WONDERFUL BOOK. 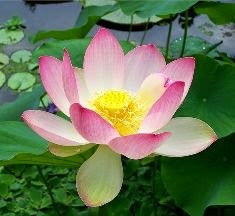 Fred Davis is steeped in the knowledge of nonduality, and this text is marvelously written for those in or out of Twelve Step programs. Clear, intelligent, well written and lots of fun to read!" "BRAVO TO FRED FOR WRITING WITH SUCH CLARITY. I hope 12 steppers reading this review really get the delicious paradox of that and find themselves picking up this book. Addiction tends to keep us seeking, even if we are seeking recovery. Fred's book has the ability to really bring the timeless wisdom that freedom is in the here and now into the 12 step movement. Great book. I loved it." ~SCOTT KILOBY, author, Natural Rest for Addiction: A Revolutionary Way to Recover through Presence. "IF THE TRUE MEASURE OF A BOOK is to be found in the perfume that remains behind when all the words have been forgotten then, for Beyond Recovery, it is this quality of honesty, openness and surrender which communicates itself in the words and between them, administering not just to the mind but to the background of Awareness." 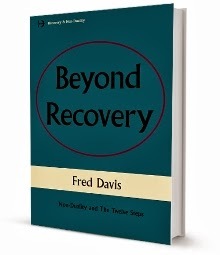 "THIS BOOK BY FRED DAVIS extends the culture of [Twelve Step Recovery] and contributes to the current shift in Western civilization, which is one from attending to religion, philosophy, art, history, music, and science as pointers to our true nature, to true nature itself. In other words, it is a shift toward attending to attention, or to the one attending, rather than to the creative outcomes of that kind of attention." "I SEE THAT THERE IS A CERTAIN MAGIC to your word-smithing - it comes directly from reality and points powerfully to reality... it seems to move like a flood tide that raises a heavy form off the rocks and gently settles it in a peaceful ebb-tide of being..."
"AGAIN, I WANT TO SAY your writing is amazing. It's very engaging, personable, and smooth. When a book on non-duality feels like a page-turner, that's quite an accomplishment!" 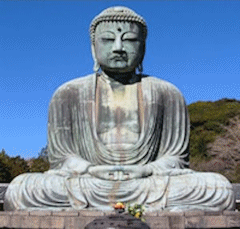 FRED DAVIS studied and practiced Eastern wisdom for twenty-five years prior to 2006, when his seeking ended, and his true awakening commenced. He is the creator and editor of Awakening Clarity Now, and the founder of The Living Method of Awakening. 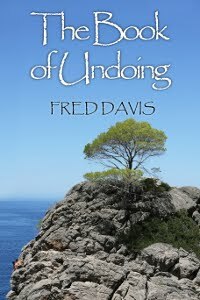 Fred is also the author of The Book of Undoing: Direct Pointing to Nondual Awareness, Beyond Recovery: Nonduality and the Twelve Steps, and Awakening Clarity: A Spiritual Sampler. A fourth book is scheduled for Spring, 2014. The Living Method of Awakening is an extraordinarily successful process of inquiry, investigation, and direct pointing that encourages immediate recognition of our shared True Nature. Hundreds of people on six continents have found the door to freedom using The Living Method. Fred's work has appeared in Advaita Vision, Nonduality Living, Meeting Truth, ONE: The Magazine, Nondual Highlights, and the annual book, The Journey Home, Volume 2: Awakening in the Dream. He is happily married, deeply loves animals, and lives quietly as a chiefly ignored, urban hermit in Columbia, South Carolina, USA. 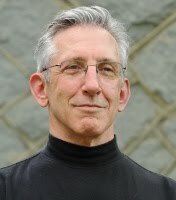 With Jerry Katz on Nonduality Talk in December 2012. Here is Jerry Katz's NONDUALITY STREET audio interview with Fred, or listen to it and see some photos on YouTube. Short segment on NONDUALITY NETWORK TALK RADIO with Jerry Katz and Mandy Labelle. My little segment comes up at about the 27 or 28 minute mark and then runs for about 15 minutes. "THERE ARE SO MANY websites and blogs and things out there on Nonduality these days that it can be overwhelming. Fred's site is really an exception." "YOUR BLOG LOOKS great. I've added a link to it on my links list. When you speak clearly, they will come. You speak clearly." "I'M HAPPY AND PROUD to be part of Awakening Clarity." "I ADDED YOUR BLOG to my list. You're creating a valuable site. Thank you." "YOUR HEART REALLY COMES THROUGH in your writing, Fred. Your words are so clear and generous, and will benefit many people around the world. Love is flowing from every pore on your site. Thank you." "SUCH A BEAUTIFUL SITE! I'm happy to be a part of it." "THE OVERALL IMPRESSION [of Awakening Clarity] is thorough and authoritative as well as the smart presentation." "THANK YOU for this beautiful offering." "THANKS SO MUCH for your wonderful words. I'm enjoying Awakening Clarity! I've added you to our links." "I THINK what you're doing is wonderful. The site is great. I've added your site to my links list." "THANK YOU so much for all you share on your lovely site." "LET IT EXPRESS through you in your way and many will find their way to you and be helped. Thank you, Fred." "WHY TAKE YOURSELF, or your teaching, or your website personally or seriously? Neither the up, nor the down is a big deal. People come, they go; that's show-biz!" This website is lovingly dedicated to my wonderful wife, Betsy J. Hackett-Davis. DISCLAIMER: The texts of The Book of Undoing: Direct Pointing to Nondual Awareness, Beyond Recovery:Nonduality and the Twelve Steps, and Awakening Clarity: A Spiritual Sampler, along any associated posts, articles, or texts and websites, such as Awakening Clarity Now, Awakening Clarity, and Beyond Recovery are for educational purposes only and are not intended in any way to be a replacement for, or a substitute to, qualified medical, psychological, financial, or addiction advice, diagnosis, treatment or therapy from a fully qualified source. If you think you are suffering from a medical, psychological, or addictive condition, consult your doctor, or other appropriately qualified professional person or service. © 2011, 2012, 2013 Fred Davis. AC's Zen frogs courtesy of Rupert Peene. Travel theme. Powered by Blogger.